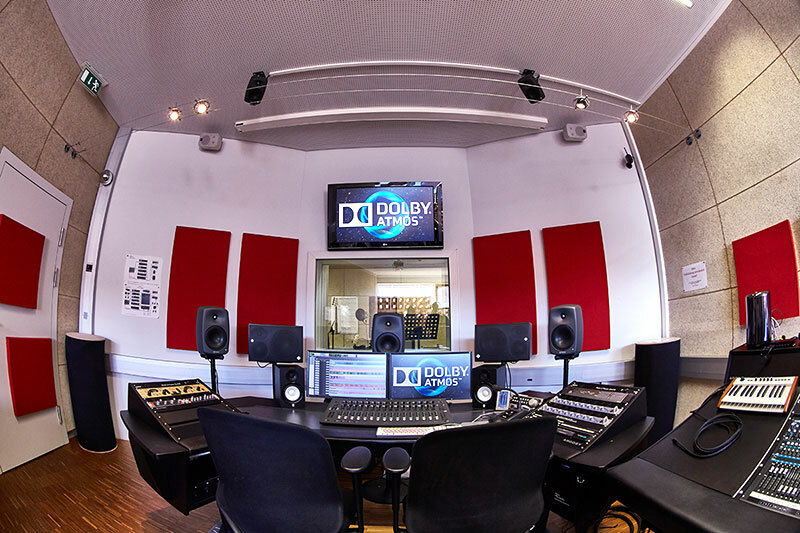 St. Pölten University of Applied Sciences has recently made use of the new 3D sound system Dolby Atmos for instruction and research in its audio studios. The system makes possible new dimensions in spatial, tonal presentations. From 7.1.-Surround to Dolby Atmos, sound production at St. Pölten UAS receives a new dimension. "With Dolby Atmos, a new tonal dimension has entered our cinemas. Additional loudspeakers on the ceiling make it possible. In conformity with our natural listening habits, acoustic atmospheres can be reproduced much more realistically than before. For several days the new industry standard has also found itself at St. Pölten UAS", said UAS Lecturer Andreas Büchele. The existing Dolby Digital 7.1 Surround-System was expanded by four loudspeakers on the studio ceiling. The core elements are software and hardware components, which have been made available by Dolby free of charge to St. Pölten UAS. 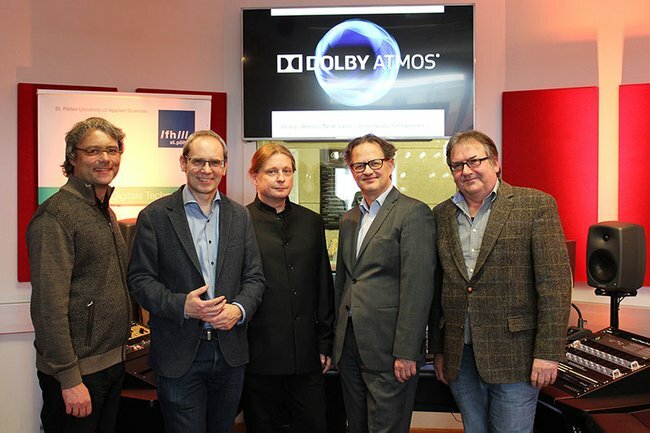 The close collaboration with Dolby is thanks to Karl Michael Slavik, who has for many years as a visiting lecturer brought his experience as a Dolby advisor to instruction at St. Pölten UAS. 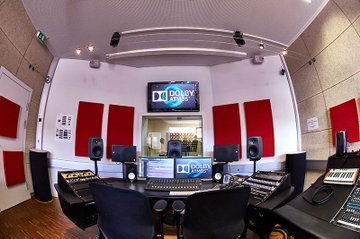 "The Dolby Atmos Studio is the ideal addition to the alternative 3D spatialisation techniques of the university's sound ball, which has been used for some time in research and teaching. Thus, St. Pölten UAS now has future-oriented equipment for the acoustic and design challenges that arise in the cinema, 360°-video and augmented/virtual reality environments", said UAS Lecturer Michael Iber.